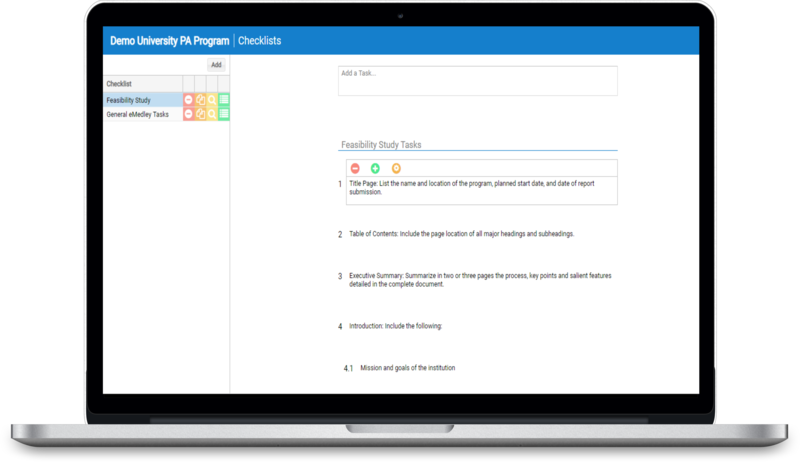 eMedley organizes course curriculum and assessments for Physical Therapy programs to easily track what is getting covered in the classroom and how students are performing related to the curriculum. The standards and required elements for accreditation of Physical Therapist Education Programs are constantly evolving, so successful programs have learned to adapt in the most meaningful way, by incorporating an integrated curriculum and competency based assessment framework, with a new focus on interprofessional education. 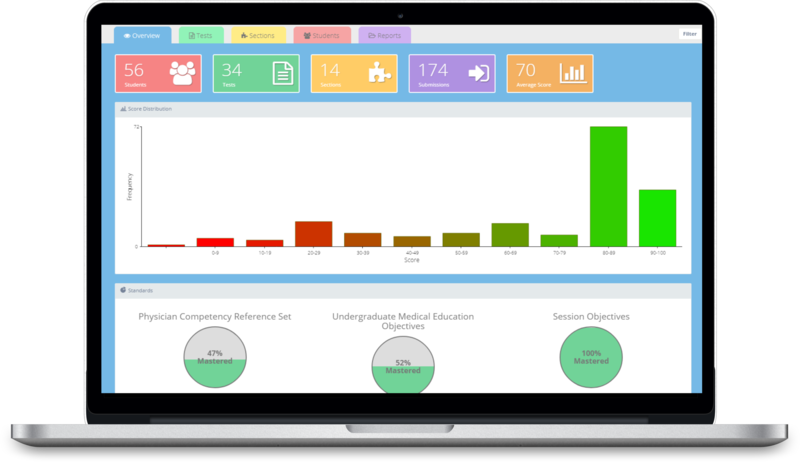 eMedley is the only solution for Physical Therapy programs that integrates all key areas (curriculum mapping, testing, documentation, scheduling, clinical tracking, and evaluation) into a single comprehensive, web-based platform and tracks, manages, and offers intelligent reporting tools to aid student progress starting from Day 1 until graduation. Map course content to preloaded CAPTE Evaluative Criteria, Normative Model, Bloom’s Domains, Learning Environments, and Threads to Gaps and Overlaps in course instruction. Physical Therapy programs must not only show where the CAPTE criteria are covered but also the “how”. eCurriculum helps track that reinforcing content. Manage question banks, tests, and remediation while administering secure tests and tracking student performance tied to specific criteria and competencies. 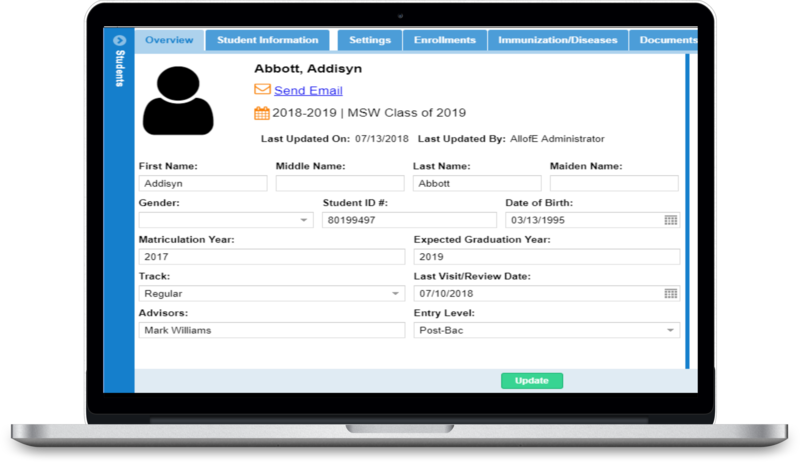 eduSched facilitates communication for the March Mailing with built-in e-Mail Merge connected to the schedule, capacity/placement tracking, and more. 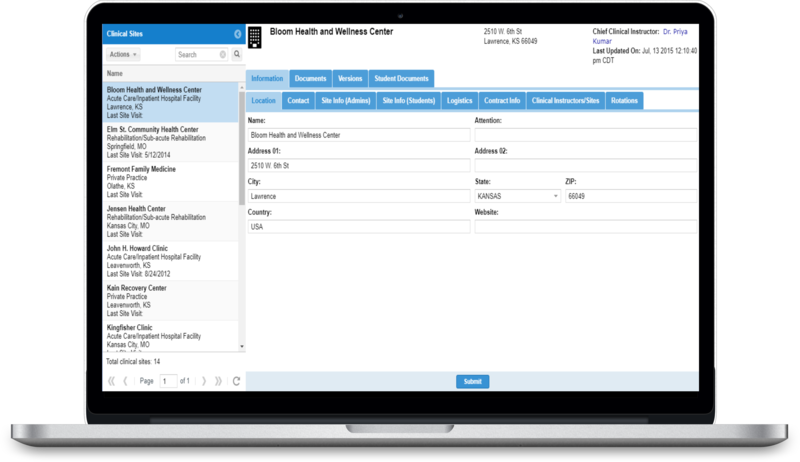 eKeeper offers intuive interfaces in order to centralize documents and clinical requirements related to students, sites, CI’s, and DCE’s. Keeps the program up to date on anything that is expiring – affiliation agreements, CI licenses, student documentation – with automatic reminders. 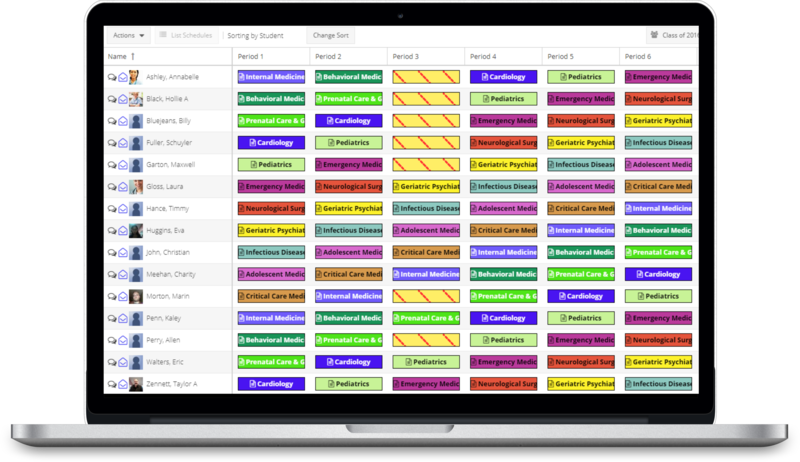 One-screen scheduler simplifies the placement process with scheduling options for student preferences, capacity tracking, automated scheduling and controlled schedule publishing. 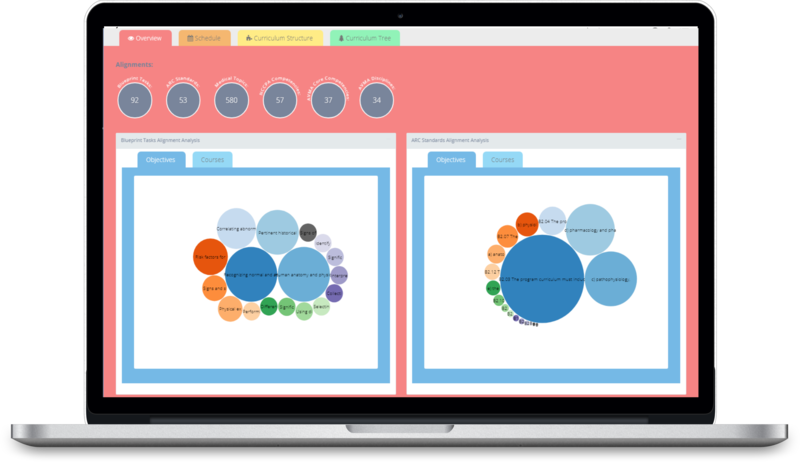 Extensive reporting tools generate graphs and tables that help answer key questions related to: What are we teaching? Where are we covering specific CAPTE Criteria? How are students performing to the NPTE Content? eMedley’s curriculum and assessment solutions provide a clear picture of what students learned in the classroom, how effective that learning was, knowledge-based performance on tests tied to the curriculum, and application-based performance on evaluations also tied to the curriculum. Map where, when, and how students are learning required competencies. “Track student performance on tests tied back to the same competencies mapped in the curriculum. 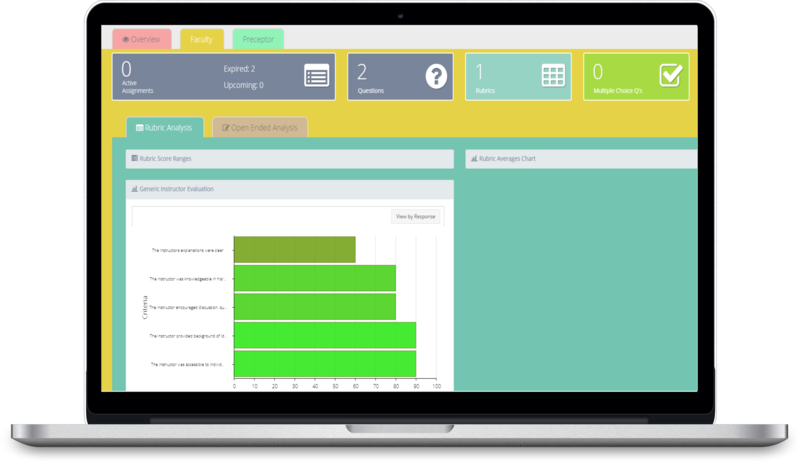 Use performance data to make informed, strategic curriculum decisions. 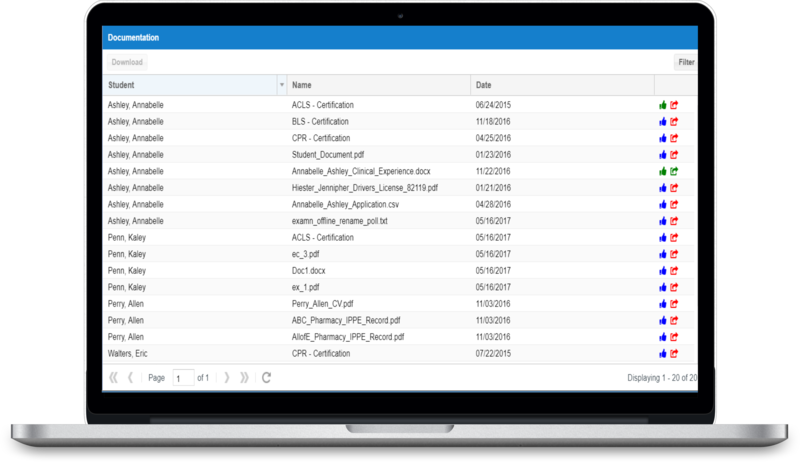 Track everything a student learns all the way through their clinical experience including the application of that learning, using eMedley’s clinical tracking components for documentation, scheduling, and evaluation. Track capacity and documentation requirements and completion for students with automated reminders. Place students at sites using the intuitive schedule planner or use automated scheduling and let the system do the scheduling for you. Review comprehensive clinical evaluations on students, CI’s, sites, and the overall clinical experience. Paperwork, documents, and criterion can be a hastle to manage, but with eMedley’s intuitive data tracking systems, managing and connecting all parts of the Physical Therapy Program experience is a breeze. Manage contact information, expiration dates, and get automatic reminders on required updates. Built in approval and review processes for assignments, reflection essays, case logs, time logs, evaluations, and assessments.